With a passion for tailgating and a desire to offer the best customer service and top brand equipment, Southern Tradition Tailgating will certainly continue to lead the tailgating industry. Southerners are famous for their love of college football. Come September, campuses across the region erupt with cheering fans and all-day parties every weekend. Families and friends gather around tents to watch televised games and enjoy good food. Two years ago, Dr. Brad Vickers, co-owner of Southern Tradition Tailgating, recognized the market value of catering to these fans by offering complete tailgating packages, including set-up and takedown services. As the popularity of Vickers’ service has grown, Southern Tradition Tailgating has become a game day necessity. 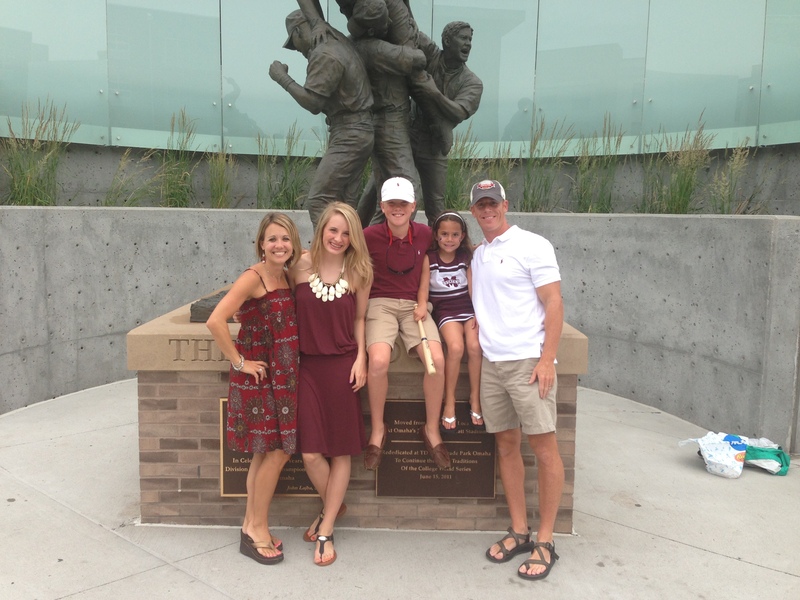 After living in Starkville for two years, Vickers joined his wife in the Junction to enjoy the pre-game festivities. Vickers, though, wasn’t there solely to hang out and enjoy the food. “I just wanted to find a TV, to watch the other college games.” Eventually, Vickers found a television, but he was struck by how few people seemed to want to go to the effort of setting up the equipment required to have a great tailgating party. Recognizing an opportunity, Vickers began planning a company that would make tailgating more convenient. The budding entrepreneur called two friends from college to help him with the new project. Bryan Johnson and Lucas Smith were up for the challenge, and Southern Tradition Tailgating was launched. They began with enough equipment for one tailgate at Mississippi State, but quickly expanded to Ole Miss and the University of Alabama as their reputation grew. Southern Tradition Tailgating offers clients a specialized service that takes the hassle out of tailgating. Each package includes two tents that feature the football team’s logo, two tables with team colored tablecloths, a fifteen-foot pole with the team flag, and five team chairs. Electronics are also included in the package, guaranteeing the client’s tailgates ample entertainment. A 32-inch television, iPod sound dock, rope lighting for the night games, electricity for the festivities and a full dish TV with individual receiver keep each tailgate up-to-date. Additionally, each package includes full set-up and takedown services. Though launched two years ago, the company saw a dramatic increase in popularity last football season. “The first year went over great, but it really hit last summer,” Vickers remarks, noting that they were sold out of packages at Ole Miss and MSU before the football season ever began. The company continues to grow and is considering offering their services to Louisiana State University and other SEC schools. Vickers, for one, is pleased with the company’s success. Southern Tradition Tailgating allows him to combine a profitable sideline while working with great fans like himself. 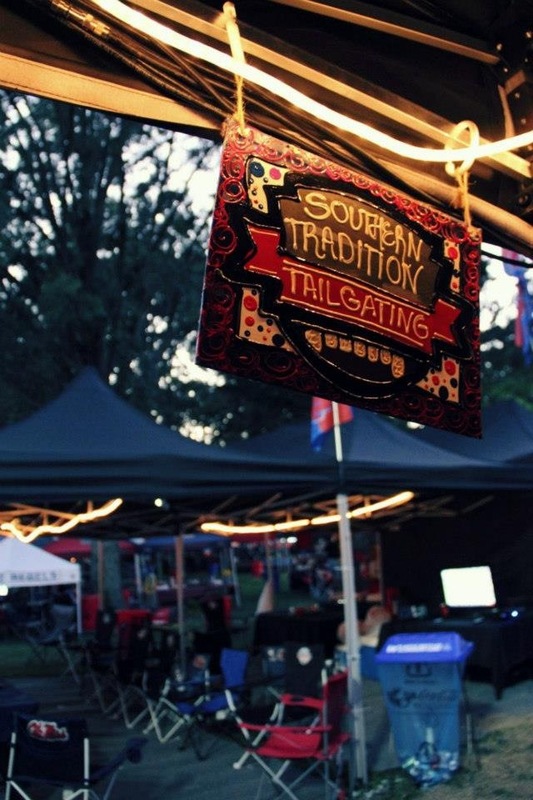 Today, Southern Tradition Tailgating has more than quadrupled in size and was recently recognized as the #28 fastest growing business on the UGA Alumni Association’s Bulldog Top 100. It has changed over the years, but you will still find Vickers and Smith setting up and taking down tailgating equipment on Saturdays in the Fall. With a passion for tailgating and a desire to offer the best customer service and top brand equipment, Southern Tradition Tailgating will certainly continue to lead the tailgating industry. Southern Tradition Tailgating offers clients a specialized service that takes the hassle out of tailgating.